when spirits touch is a collaboration of two artists in a unique collection of duel poetry and photography. Charles Wm Martin and River Urke gathered together their talents with words and eyes of aesthetic flare in this distinctive book of art. 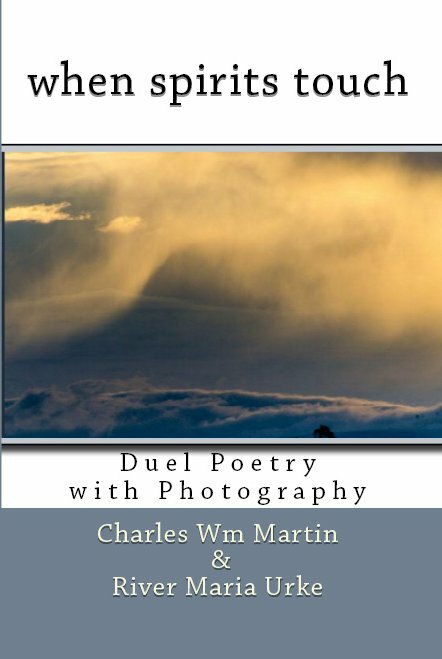 - Charles and River met online in 2010 and challenged each other to a duel of poetry. Their first poem revealed they had a special gift of blending their two voices to one. They duel in words through email and have never met face to face. Here is an example of our poetry together.It happens to be the first poem we wrote together.